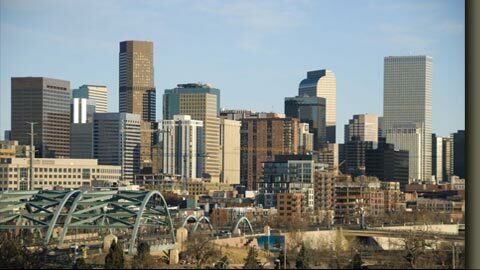 Denver Personal Injury Attorney Saul Sarney has represented people who have suffered serious physical injury or the loss of a loved one for over 30 years. He knows that when one of these unfortunate accidents takes place, you need reliable answers right away. Personal injury victims and their families often have both immediate issues and future concerns. Our law firm is dedicated to answering your questions, fighting for your rights, recovering compensation, and making sure your life is put back on track. Visit our Youtube.com page to view more of our law firm's personal injury related vidoes. 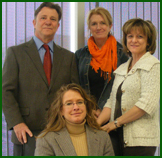 The Denver, Colorado Law Firm of Saul R. Sarney represents clients involved with a variety of personal injury cases. We provide you with knowledgeable and experienced legal representation that is responsive to your needs. Our lawyers work to obtain all of the benefits potentially available to our clients including sources that may not be immediately evident. We ensure our clients are informed on the progress of their case, and are able to participate in the decisions regarding the direction and strategies of their case. To speak with a skilled lawyer right away, please call us at 303-759-3300 or contact us online. We do not charge a fee to discuss how we can meet your needs and will meet with you in the hospital or your home if necessary. 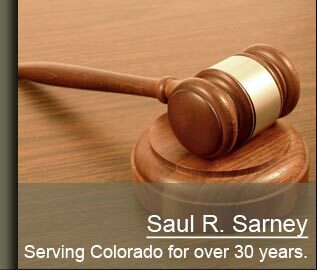 The Law Firm of Saul R. Sarney, P.C., in Denver, Colorado, represents clients facing personal injury and wrongful death lawsuits, and denial of insurance coverage claims throughout the greater Denver metropolitan area and areas north, including the cities of Lakewood, Greenwood Village, Aurora, Englewood, Littleton, Arvada, Greeley, Morrison, Boulder, and Broomfield, as well as Douglas County, Denver County, Jefferson County, and Arapaho County. We also represent clients in other states including Kansas, Nebraska and New Mexico. This lawyer website is Copyright © 2017 by Saul R. Sarney P.C. All rights reserved. You may reproduce materials available at this site for your own personal use and for non-commercial distribution. All copies must include this copyright statement.